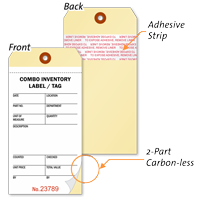 Need to maintain multiple records of your inventory? 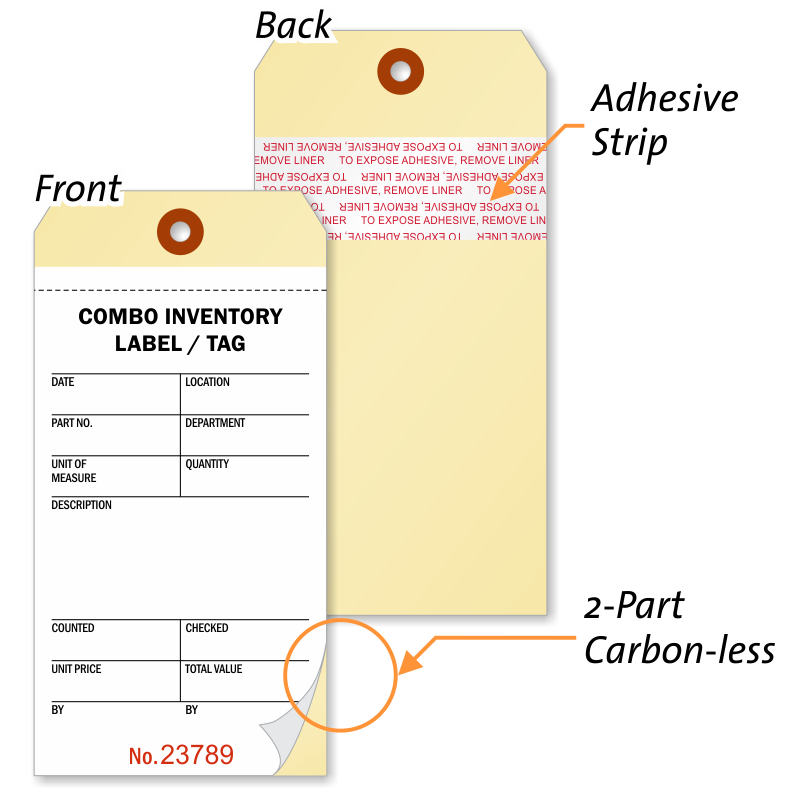 Use our Carbonless Inventory Tags for effective inventory management. Multiple records facilitate in easy tracking of goods and equipments in possession. • Made of a multi-ply NCR construction, your writing is instantly transferred to the paper sheets and the underlying tag. 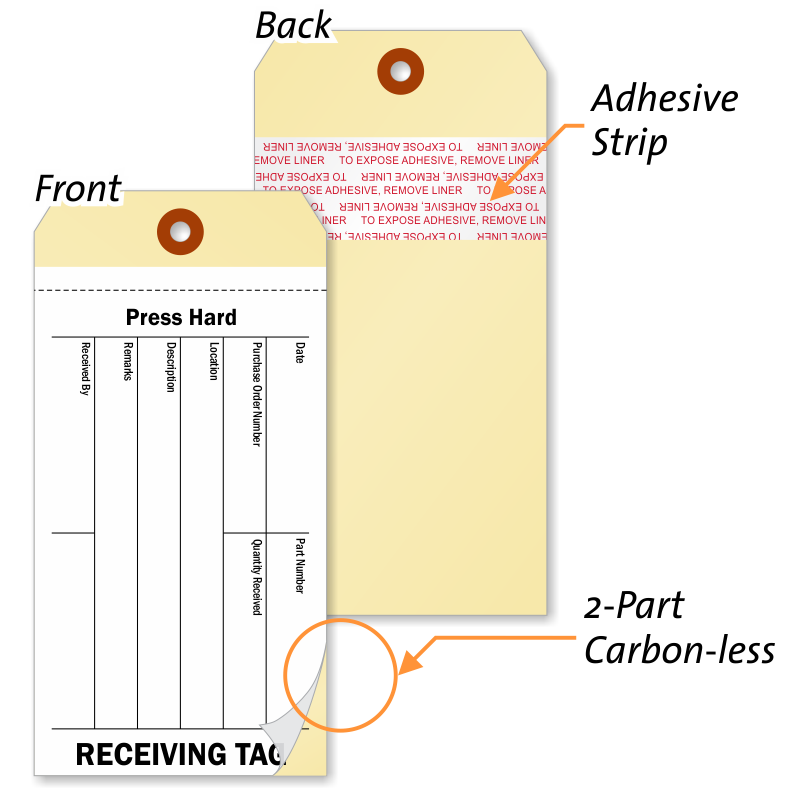 • The tag and the corresponding tear-off sheet are stamped with the same number. You never lose track of things! • Paper is perforated at the top for easy removal. 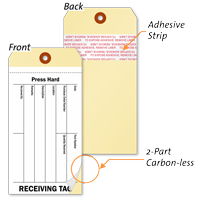 • Tag comes with a fiber patch for extra reinforcement. • Choose between 2-Part or 3-Part tag options. Adhesive backing is also avialable on select designs. Carbon does not decompose easily so when you buy carbonless tags, you're not just making a purchase, you're saving the environment too! No need to get your fingers dirty. 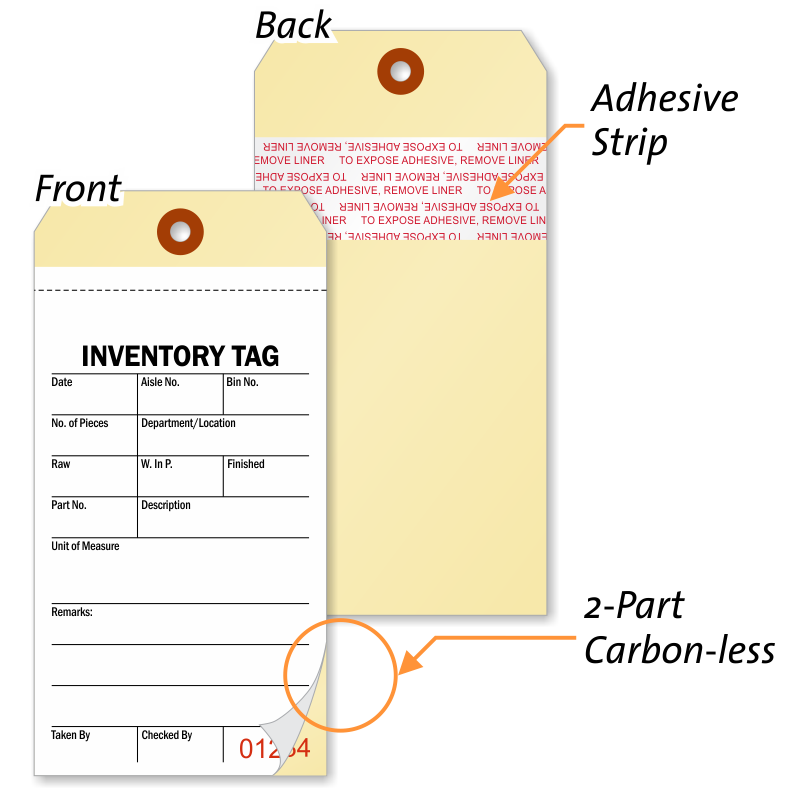 These inventory tags require no carbon layer. As low as 29¢ a tag!